The Kindle e-reader has been with us in one form or another since 2007, and it’s still going strong. It’s a super simple device, and for most people, that’s a huge part of its appeal. But don’t let its simplicity fool you into thinking there aren’t any interesting tweaks you can make to your beloved e-reader. 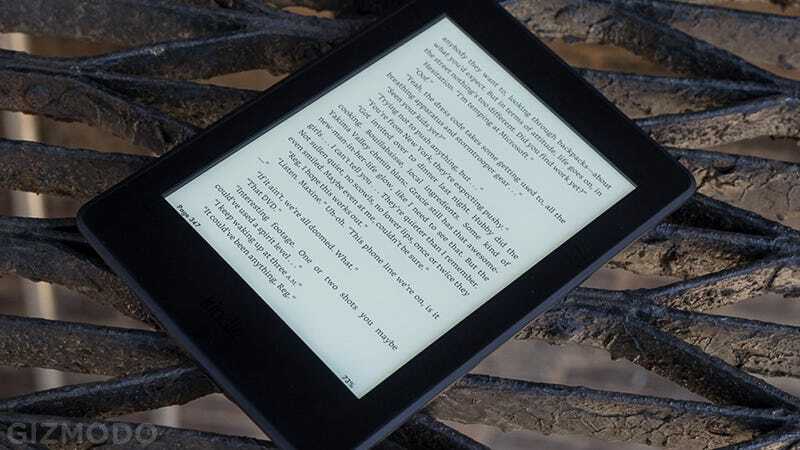 Here are 10 of our favorite Kindle tweaks that make reading anywhere even easier. Don’t dismiss all the different Kindle apps because you bought yourself a physical Kindle e-reader. If you sign in with your Amazon account you can carry on with your reading wherever you happen to go, even if you leave your actual Kindle at home (your reading progress is synced back automatically). Free apps are available for iOS, Android, and the web. When you’ve had your fill of classic literature, getting your own documents on your Kindle is simple enough. There are several ways to do it. One of the easiest is via email. In your Kindle settings on the web find the relevant email address, then authorize the email address you want to send attachments from. PDFs and Word documents are among the supported file types. Kindles are well known for their excellent battery life, but if you’re doing any long-distance traveling, then you might find you need to make that precious juice stretch as far as possible. The tricks are just the same as they are on your phone. Turn on airplane mode through the device settings and reduce screen brightness by tapping on the sun icon on the toolbar at the top. There are a few ways to change the look of the interface. Open the toolbar inside an e-book, tap the Aa icon, and you can change the font size, font style, margins, and line spacing. Also, via Settings, Device Options, Personalize Your Kindle and Advanced Options you can go back to the old home screen layout showing just your current library. When you’re in the middle of an e-book, you’ll see an estimate of how long it’s going to take you to reach the end, based on your previous reading speed. If you want to reset this calculation (right after completing a speed reading course perhaps) then type the phrase ;ReadingTimeReset (making sure to keep the capitals) into the search field on the toolbar. As you might know, you can look up the meaning of a word with a long press on the screen. If you want to review these unfamiliar words later, choose Vocabulary Builder from the front screen menu, where you can test yourself using flashcards until you’ve got the definition memorized. You can turn off the Vocabulary Builder through the settings. If you’re not a tech journalist, you perhaps don’t have much of a need for taking Kindle screenshots, but you might occasionally want to take a one or two. Tap simultaneously in two diagonally opposite corners of the e-reader screen (say bottom-right and top-left) to snap a screenshot. To get at it, connect your Kindle up to a computer via a USB cable. As we’ve previously explained on Field Guide, you can connect Instapaper and Pocket to your Kindle, letting you use the e-reader to get through your pile of articles that you’ve saved from the web. Alternatively, cut out the middleman by sending articles straight to your Kindle: Amazon itself offers official extension tools for Chrome and Firefox you can make use of. Jailbreaking isn’t just for phones, you know—you can unlock your Kindle e-reader too if you want to be able to install customized covers and screensavers, add extra apps and features, and hack various aspects of the interface (such as the default fonts). It’s not all that difficult to do, either—Lifehacker has a helpful guide if you want to take the plunge.